The feast commemorates the purifying of the Blessed Virgin according to the Mosaic Law, 40 days after the birth of Christ, and the presentation of the Infant Jesus in the Temple. The feast was introduced into the Eastern Empire by Emperor Justinian I, and is mentioned in the Western Church in the Gelasian Sacramentary of the 7th century. Candles are blessed on that day in commemoration of the words of Holy Simeon concerning Christ "a light to the revelation of the Gentiles" (Luke 2), and a procession with lighted candles is held in the church to represent the entry of Christ, the Light of the World, into the Temple of Jerusalem. "Candlemas" is still the name in Scotland for a legal term-day on which interest and rents are payable (2 February). It serves an opportunity to highlight the extraordinary contributions of men and women religious as well as a time to pray for vocations to the consecrated life. Born to the patrician class. Her mother died when Catherine was an infant; she was raised by her godmother, but considered the Blessed Virgin Mary to be her true mother, and developed a great devotion to her. As a child, Catherine could speak to her guardian angel, and the angel taught her prayers for the rosary. At age 6 she moved to the convent school of Montecelli; her aunt was the abbess. Catherine developed a devotion to the Passion. Her father, Peter, objected to her plans to join a convent, then relented, then changed his mind again. Catherine continued her prayers at home, but when he changed his mind she fell ill. It was only when he at last agreed on her vocation that she recovered. Dominican tertiary. She received visions and had ecstacies, but these caused some problems and doubts among her sisters - outwardly she seemed asleep or dully stupid when the visions were upon her. Catherine though everyone received these visions as part of their lives with God. She was stricken with a series of painful ailments that permanently damaged her health. Catherine met Philip Neri in a vision while he was alive in Rome; they corresponded. She could bilocate. Said to have received a ring from the Lord as a sign of her espousal to him; to her it appeared as gold set with a diamond; everyone else saw a red lozenge and a circlet around her finger. Permanent stigmatist. At age 20 she began a 12-year cycle of weekly ecstasies of the Passion from noon Thursday until 4:00pm Friday, often accompanied by serious wounds. Her sisters could follow the course of the Passion, as the wounds appeared in order from the scourging and crowning with thorns. At the end she was covered with wounds and her shoulder was indented from the Cross. The first time, during Lent 1542, she meditated so completely on the crucifixion of Jesus that she became ill, and was healed by a vision of the Risen Lord talking with Mary Magdalene. Crowds came to see her, skeptics and sinners being converted by the sight. The crowds became to numerous and constant that the sisters prayed that the wounds become less visible; He made them so in 1554. Three future popes (Cardinals Cervini, Pope Marcellus II; Alexander de Medici, Pope Leo XI; Aldobrandini, Pope Clement VIII) were among the thousands who sought her prayers. Novice-mistress. Sub-prioress. Prioress at age 30. Noted reformer of her house. Correspondent with Saint Charles Borromeo and Pope Saint Pius V.
Third of four children born to Heinrich Kasper and Katharina Fassel, poor but devout peasants; she had four half-sisters from her father‘s first marriage. A happy, out-going child, Maria was an avid reader with a fondness for both the Bible and The Imitation of Christ by Thomas a Kempis. Health problems often kept her home from school, but there she learned to spin and weave. She worked with her parents in the fields, and when she could do it, earned extra money by breaking stones for road construction. Maria she felt an early call to religious life, and would lead pilgrimages of other children to local Marian shrines. However, her father died when she was 21, one of her brothers when she was 22, and the family was left so poor that Maria had to stay to help them survive by selling her weaving. When her mother died, Maria felt she could finally follow her vocation, and with the approval of the bishop of Limburg, Germany, she started a small house with several friends who also felt the call. They became a formal association in 1845, and on 15 August 1851 they were established as the Poor Handmaids of Jesus Christ, a congregation dedicated to caring for the poor. Maria served as superior for five consecutive terms. The Handmaids opened their first school in 1854, spread to the Netherlands in 1859, received a decree of praise from Pope Pius IX on 9 March 1860, and formal approval by Pope Leo XIII on 21 May 1890. Her order continues its good work today with 690 sisters in 104 houses in Germany, the Netherlands, the United States, Mexico and India. Eldest of four children born to Giovanni and Prudenza Zamperini, Maria grew up in a small farm village She received only three years of elementary school, learned religion from her pious parents, and was early drawn to religious life. In her teens, Maria's parish priest and spiritual director, Blessed Giuseppe Nascimbeni, encouraged her to visit the sick, teach catechism, and become active in her parish work. On 8 December 1886, Maria made a private vow of virginity, and asked for Our Lady's guidance in how best fulfill her religious vocation. In 1892, Maria and Father Nascimbeni founded the Congregation of the Little Sisters of the Holy Family with four women; Maria took the name Mother Maria of the Immaculate, but everyone simply called her Mother. Their mission was to promote parish life and help the spiritual and material well-being of people in need, and Maria served as first Superior General, guiding the Congregation for the next 40 years. She was known for the depth and intensity of her prayer life, her devotion to Our Lady, and her gentle spiritual guidance to her sisters and the townspeople alike. Today the Little Sisters of the Holy Family work in Italy, Switzerland, Albania, Africa, Argentina, Brazil, Uruguay, and Paraguay, serving children and youth, families, priests, the elderly and the disabled in parishes. Raised in a pious family; one brother became a priest, and was later curator for Theophane's writings, and another was the bishop of Poitiers, France. Studied at the College of Doue-la-Fontaine, Montmorillon, Poitiers, and the Paris Seminary for Foreign Missions. Ordained on 5 June 1852. Missionary to southeast Asia, leaving on 19 September 1852. Worked fifteen months at Hong Kong, then transferred to West Tonkin (in modern Vietnam). Christians in the area were being persecuted by order of the ruler Minh-Menh. Just before Theophan's arrival, new anti-Christian orders had forced priests and bishops to go into hiding in forests and caves. Father Vénard, whose health had never been good, suffered terribly, ministering to his flock by night and, when he could find a secure location, by day for nearly four years. Betrayed by an ostensible parishioner, he was arrested on 30 November 1860. He was tried for the crime of being Christian, and was given ample opportunity to save himself by denying Christ; he declined. He was kept in a cage for several weeks prior to his execution, during which he wrote a series of joyful, consoling letters to his family. Martyr. The only child of Toussaint and Savine Brisson. Educated by a local priest who had a large library; Louis read everything, but was especially interested in science. Seminarian in Troyes, France. Ordained on 19 December 1840. Teacher at the Visitation school in Troyes. Chaplain to the Visitation Sisters in Troyes. 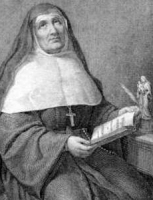 Confessor, spiritual director and eventual biographer of Mother Marie Therese de Sales Chappuis, superior of the Visitation house. With her help, and that of Saint Francisca Salesia, he founded the Oblate Sisters of Saint Francis de Sales in 1859 to minister to girls working in textile factories. Established Saint Bernard's College in Troyes in 1869. On 27 August 1876, Louis and five other priests formed the Oblates of Saint Francis de Sales. Late in his life, the French government closed all religious houses, and the Oblates transferred their General House to Rome, Italy; being too elderly and frail to travel so far, Father Louis saw them off and then retired to spend his remaining days at his family home in Plancy, France. Peter's father was a city councillor, his mother was from a noble family, and the boy was raised in a pious household. 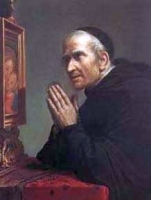 He received a good education, and was early drawn to religious life, with a personal devotion to Our Lady of the Rosary. Joined the Dominicans in Piedmont, Italy at age 16. He continued his studies, and was ordained at age 25. Noted preacher throughout northern Italy. He worked to bring the heretical Waldensians back to the Church. Appointed inquisitor-general of the Piedmont. In January 1365 Peter and two Dominican brothers went on a preaching mission through the mountains between Italy and Switzerland, working from the Franciscan friary at Susa, Italy. Peter's preaching brought many back to the faith, which earned him the anger of the Waldensians. Three of the heretics came to the friary, asked to see Peter, and then murdered him at the gate. Martyr. Believing that her obligations to the world were finished, she entered a Cistercian house at Toulouse, France at age 46. She was not up to the rigors of the order's discipline, became seriously ill, and wanted to die at the monastery; her superiors refused to allow it. On her last night at the monastery, she had a vision of Mary who presented an image of Jeanne helping lost children. Born to the Italian nobility. Became Augustinian in 1790 at age 16 at the monastery of Saint Mark in Venice, Italy, taking the name Stephen; he made his profession on 31 May 1794. Studied in Rome and Bologna in Italy. During the French Revolution troops shut down religious houses in the region, and dissolved the Augustinians; this ended Stephen's studies, and left him without his religious community. He devoted himself to preaching and religious education for children. He organized a free school for poor children at Trentino. It was called La Scola per gnent (The School for Nothing), and had nearly 500 students and several lay teachers. His work impressed the governors of Trent, Italy, and they appointed him inspector of the province's schools. When the Augustinians were restored, Stephen return to religious life. Novice master at Rome and Citta delle Pieve, Italy. Parish priest in 1831 at Genazzano, Italy, site of the shrine of Our Lady of Good Counsel. Devoted to his parishioners, Stephen made endless sick calls, working with victims of a cholera epidemic in 1840 until contracting the disease himself. Born wealthy, he felt early called to the Church and working with the poor. Inspired by Saint Boniface, he became a missionary in the area of modern Germany. 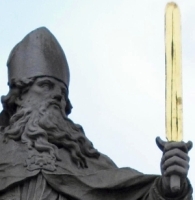 First bishop of Würzburg, Franconia, consecrated by Saint Boniface in 741 and confirmed by Pope Saint Zachary in 743. Under his ministry all of Franconia converted, and several monasteries were founded by and for his people. Promoted devotion to Saint Killian who had previously worked in the region. A favourite of King Pepin the Short. Burchard led the party that sought Pope Zachary's decision on who should be the king of the Franks. Resigned his bishopric in 752, and spent the rest of his days in solitude and prayer. Educated in the seminary of Parma, Italy. Ordained on 20 December 1873 in Parma. Episcopal delegate of Mariano, February 1874. Coadjutor Bishop of Fornovo di Taro, Italy on 4 July 1874. Vice-rector of the Parma seminary, and professor of physics and mathematics in 1875. Rector of the seminary in 1877. Professor of fundamental theology, ecclesiastical history and moral theology in 1878. Bishop of Guastalla, Italy on 29 May 1890. Bishop of Como, Italy on 29 May 1891. Created cardinal on 18 May 1894. Archbishop of Milan, Italy on 21 May 1894. Chose his middle name of Carlo in honour of Saint Charles Borromeo. Participated in the conclave of 1903 that elected Pope Saint Pius X, and of 1914 that chose Pope Benedict XV. Born to a poor peasant family, Giovanni was a clever boy who enjoyed study, but had to work the fields with his father instead of going to school. He was a pious child, and would spead whole days in prayer in a local Minim church. At 20, against his family's wishes (legend says that he was struck blind when his mother objected, and only recovered his sight when she agreed to let him follow his vocation), he became an Oblate friar of the Order of the Minims, taking the name Nicola. Miracle worker. Joined the Augustinian Hermits as a young man. Initially a student of the natual sciences and philosophy, as he grew older he became more and more drawn to religious matters, theology and Bible scholarship. Priest. Though he preferred solitude, prayer and study, and always avoided positions of authority, his preaching, writing and spiritual guidance led many to live more faithful and Christian lives. Benedictine monk. At the order of Pope Saint Gregory the Great, he accompanied Saint Augustine of Canterbury to evangelize England in 597. Upon Augustine's death, Lawrence became archbishop of Canterbury. When the Britons began to abandon Christianity and return to the old pagan customs, Lawrence planned to abandon them and return to France. However, he had a dream in which he was rebuked and scourged by Saint Peter the Apostle for giving up on his flock. Lawrence remained, redoubled his efforts at evangelization, and converted King Edbald who brought many of his subjects to the faith. Legend says that Lawrence carried physical scars from his dream beating by Saint Peter. Members of the army of King Louis III of France under the leadership of Duke Saint Bruno of Ebsdorf. The martyrs died fighting invading pagan Norsemen, and defending the local Christian population. Four bishops, including Saint Marquard of Hildesheim and Saint Theodoric of Ninden, eleven nobles, and countless unnamed foot soldiers died repelling the invaders. Abbot of an Irish community. Following a series of Viking raids, he led his community to safer fields in Belgium. On 2 February 957 Columbanus became a hermit in the cemetery near the church of Saint Bavo, Ghent. He developed a wide reputation for holiness and attracted new followers. His name is in the litany to be recited in Belgium during public emergencies. Frankish princess. Benedictine nun. Founded the Benedictine convent of Kitzingen in Franconia (part of modern Germany), and served as its first abbess. Executioner for imperial Rome. He was a witness at the trial of Saint Sisinnius who was charged with Christianity in the persecutions of Diocletian. Sisinnius' statement of his faith converted Apronian. He was martyred soon after. Monk at New Corbey Abbey, Saxony (in modern Germany). Bishop of Hildesheim, Germany from 874. One of the Martyrs of Ebsdorf. 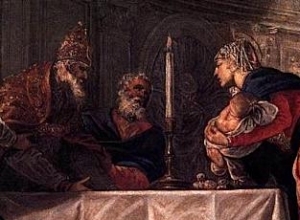 After public announcing his Christianity, Agathodorus was tortured and martyred for his faith. Bishop of Ninden, Germany. One of the Martyrs of Ebsdorf. Martyred in the early years of Christianity. Duke. Leader of the army that became the Martyrs of Ebsdorf. Fifth century nun whose story has not survived. There is a church named for her in Cornwall, England. Fifth century bishop, ordained by his uncle Saint Patrick. Late in life he became a hermit on the island of Lough Ree, Ireland.